When will Social Security go broke? Here are some recent Social Security questions and answers, taken from the weekly Ask Phil column that appears on PBS NewsHour’s Making Sen$e website. 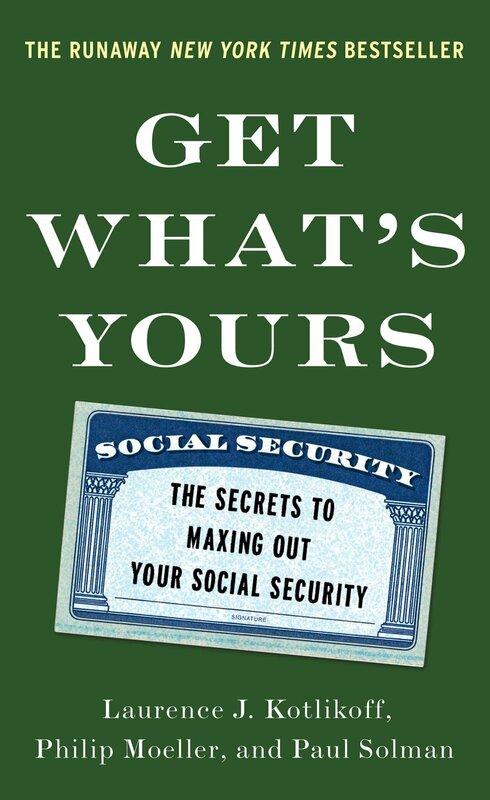 If you have Social Security questions, please feel free to share them. Chuck – Pennsylvania: I was just wondering what the financial status is of Social Security and when it is expected to go broke if no changes are made? Phil Moeller: Under present laws, Social Security will be able to continue paying 100 percent of its benefit obligations until the year 2035, at which time it would exhaust its trust fund reserves. Thereafter, it would be able to continue paying 77 percent of benefit obligations, based on expected levels of payroll tax revenues flowing into the program at that time. These projections come from the 2016 Social Security trustees’ report, which was issued last summer. This annual report is considered the official source of Social Security solvency projections. Larry: My monthly Social Security benefits are less than my monthly Medicare premiums. My benefits are not paid to me directly, but are applied to my insurance premium. I receive a one-time billing for the yearly difference. I’m told that because I don’t receive cash, I cannot be held harmless and am subject to the higher Medicare premiums. For 2017, the monthly premium for me will be $134 instead of $109. 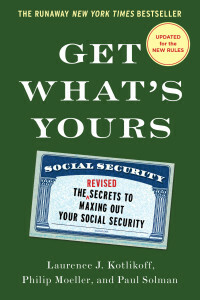 Phil Moeller: The rightly maligned hold harmless rule says that Social Security benefits cannot be cut from one year to the next. People whose Medicare Part B premium is deducted from their Social Security thus cannot be forced to pay a premium that is larger than their annual cost of living increase for Social Security. This has led to people paying different amounts for Part B coverage, which is both confusing and unfair. I shared your situation with a Social Security spokeswoman. She said she couldn’t tell from the amount of information you provided whether the agency’s response was correct. However, her response included the statement that the fact you needed to make payments to Medicare (because your Medicare premiums were greater than your Social Security payments) would not, by itself, trigger your exclusion from being held harmless. So, I suggest you get in touch with the agency and see if there is another reason they boosted your premium. If they continue to say it’s because you are paying Medicare directly, you would need to file an appeal. The agency should tell you how to do this, but let me know if it doesn’t and you need further help. I can confirm there are cases where a person’s monthly benefit payment is less than the amount of his or her Medicare Part B premium. While this is not one of the requirements that applies to hold harmless, the beneficiary is billed directly for the remaining liability amount. This billing is done once a year. See the information at this link, https://secure.ssa.gov/apps10/poms.nsf/lnx/0601001041. Janet: I want to delay my full retirement benefits when I turn 66 this December. Can I receive my divorced spousal benefits when I turn 66 if his is less than mine and delay taking mine? Phil Moeller: If you qualify for ex-spousal benefits, then yes, you can do this. Your former husband either needs to have already filed for his own retirement benefits or, if not, he needs to be at least 62 years old and you need to have been divorced for two years. If these conditions are met, you can file what’s called a restricted application at your full retirement age for just your ex-spousal benefit. Because it’s a restricted application for just this single benefit, it doesn’t really matter how it compares with your own retirement benefit. Changes made by Congress in late 2015 ended the ability of most people to file restricted applications for benefits, but this right was grandfathered into the new laws for anyone who was at least 62 as of the beginning of 2016. Donna: My ex-husband died in August 2012. When I went to apply for my Social Security in 2014, they advised that I collect his since I was still working. They started paying me in 2014 on his account until I switched to my own Social Security in February 2016 when I lost my job. My question is, could I have gotten retroactive payment of his Social Security from the time he passed away in 2012? I did not know he had passed until the time I wanted to start collecting. If I could have collected a retroactive payment, could I still pursue this? Phil Moeller: Sadly, there is a limit on retroactive payments, and Social Security has no obligation to tell you that your ex-husband had died. In fact, it doesn’t have a way of linking a beneficiary to an ex-spouse’s earnings record until you apply for a survivor’s benefit. You might be entitled to up to six months of retroactive benefits, but only if you filed for the survivor benefit after you had reached full retirement age. In that case, you’d be entitled to one month of retroactive benefits for each month past full retirement age that you filed, up to a maximum of six months. Benefit claims filed before full retirement age do not qualify for retroactive payments. If you are entitled to a retroactive payment, you can still request it. I know of no “statute of limitations” on such entitlements. Previous post Getting Social Security shouldn’t disqualify you from using a health savings account Next post The fight over Obamacare is over — for now. What does that mean for seniors? If you qualify for ex-spousal benefits and your spouse is FRA and collecting can you file on their benefits any time after that. I was told by Social Security if I filed before MY FRA it would be a reduced benefit and would remain my benefit amount forever.